Be it a small local gathering or a large conference you are organising, you can use social media to help create an amazing event. Whether it is working with organisers, generating interest or sharing post-party photos, social media should be high on your list. Once the planning is out of the way it’s time to start inviting guests, key speakers and whoever else is important to the success of your gathering, conference, or party. For inviting and organising guests lists, always be sure to set up a Facebook Page – they are better than groups because you can appear in News Feeds every time you update the Page’s status. Create a Facebook Event as this will be one of the first places your guests will look for event information. Post details of the where, the what and the who. Repeat updates at regular intervals and answer visitor’s questions. A Facebook event also allows guests and attendees to update their own status. Use as many distribution channels available as possible. Your potential guests or attendees must be able to easily find you on Facebook, Twitter, Flickr and for business events, LinkedIn. Twitter and Facebook should be your primary promotional tools – they are built for spreading a message. Twitter’s key is retweeting and hashtags: be sure to have an event hashtag and promote it, and ask for retweets of the most important information. 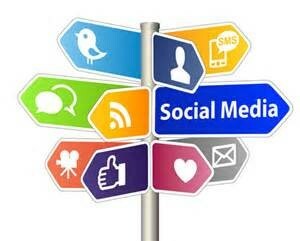 If possible, all the social media websites you are using need to link to one central blog. For example if you are using Facebook event as your main distribution method, be sure that’s where the sites you are using link to. During the event optimise the event for social media sharing. Encourage people to tag themselves in your photos and to upload their own photos. Have high-speed wireless available – this allows people to tweet and converse more easily. Listen to your audience. With a large event you can address any complaining by tracking the Twitter conversations. For people who cannot attend the event, consider setting up a live stream. You don’t have to stream everything – just the good stuff. If you can’t stream, upload videos to YouTube afterwards. After the event share all the media generated. Upload more photos and post videos on YouTube. Friend, like, follow and connect with any new contacts you made at the event. Tweet the success of the event and publish a review of the event on your website or blog. You can even thank providers and individuals who supported the event.